It doesn't get sweeter than this! 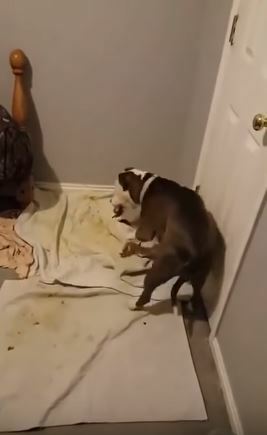 Grayce the Pit Bull was heavily pregnant.. In Utah, one woman named Stevoni Doyle got a surprise from a dog she had recently adopted. 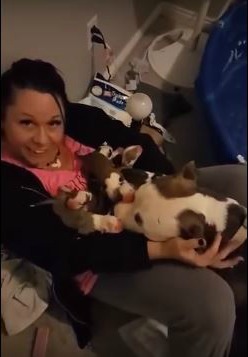 She has been fostering multiple dogs for more than a decade, but she has never had one do what this pregnant pit bull did on one Monday morning. She was responsible for Grayce, who was a 2-year-old pregnant and neglected purebred pit bull in need of a loving home ASAP. Grayce was rescued almost three weeks ago through an adoption drive organized by a local pet adoption organization named Rescue Rovers. On Sunday night, Grayce had successfully gave birth to a litter of 11 puppies, consisting of 1 female and 10 males. As the puppies rested, Grayce would pick them up herself and bring them to Stevoni and place them in her lap – one by one! “She laid on me and wanted me to love her too. She would crawl on my lap and nurse her puppies if I would let her,” Stevoni fondly recalls. Doyle regularly fosters dogs through Rescue Rovers since the organization’s inception about four years ago. 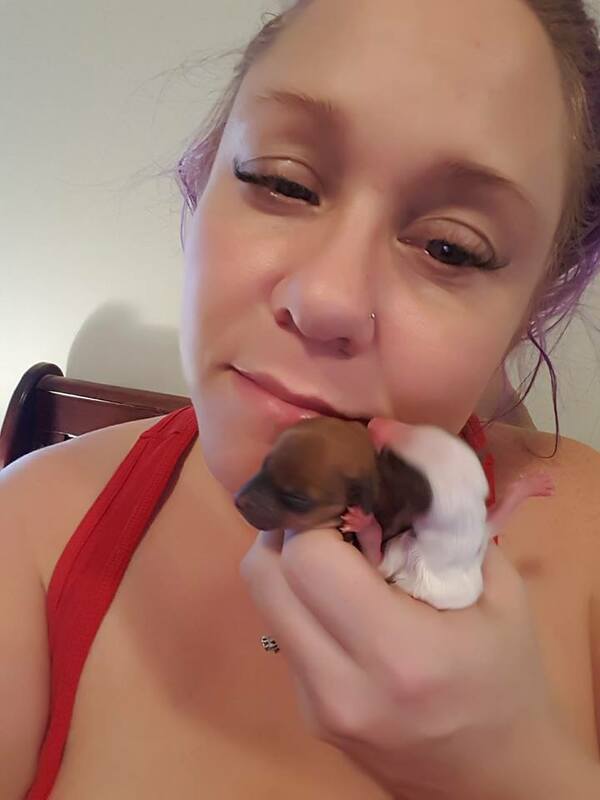 She even decided to start taking pregnant dogs in because of the extra special bond she would receive in the end. For the past ten years, Stevoni has fostered over 100 dogs (excluding puppies) even before working with Rescue Rover. She describes the bonding experience to be unlike any other, and expressed her interest in adopting more pregnant dogs in the future. Most of the mothers are very protective of their puppies around strangers, despite the trust they have built up with them prior to the delivery. But Grayce was a different dog. Watch the sweet moment unfold in the video below! Doyle remarks that this would be Grayce’s first and last pregnancy, and will never have to worry about delivering 11 puppies without a home again.